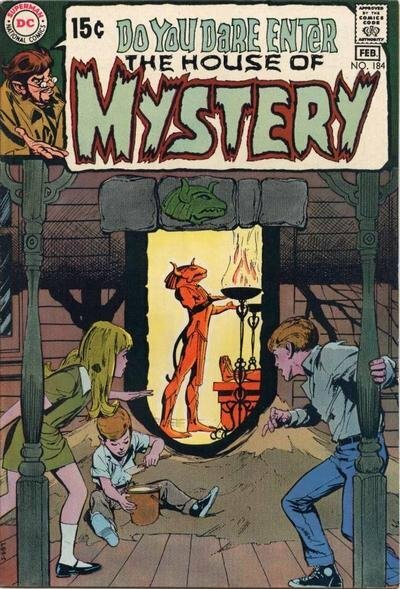 Click Here To See House of Mystery #184 Comic Book! Check out this very cool 1969 horror page which was penciled by the great Gil Kane, and inked by the equally great Wally Wood , from the story titled: "The Eyes of the Basilisk!!" This nice page features the handsome man defeating the evil Basilisk! How did he do it....we was BLIND! Cain is pictured as the host in this incredibly magnificent 1969 page, which was drawn by these 2 GIANTS of the industry!